In the summer field season 2014 a significant amount of field geophysical work was carried out in six sites. The results were summarized in the annual scientific report on the RFBR grant (project number 14-45-04156). In the summer field season 2015 research was continued at etalon sites of the Baikal region and in the area of ​​the main shear zone. 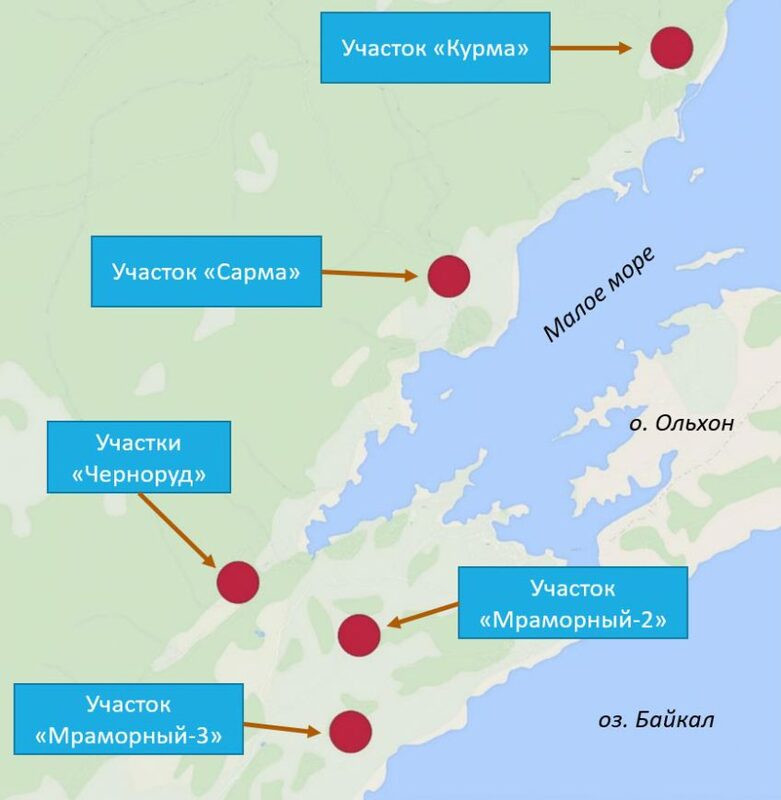 Four sites near the practice base of INRTU “Chernorud” were investigated in order to determine the geoelectrical characteristics of rocks under conditions of natural occurrence (gabbro and marble). The works on the sites “Sporny”, “Gabbro-15”, “Gabbro-16”, “Marble-4” served as the basis for the geological interpretation of geophysical sections. Methodical works were continued on the site “Marble-2”. An area survey was performed by using magnetometry, radiometry and EMS-IP methods within the main shear zone in the region of the gabbro root exit. Earlier works were carried out on the sites “Kurma”, “Sarma”, “Chernorud”, “Marble-2” and “Marble-3”.